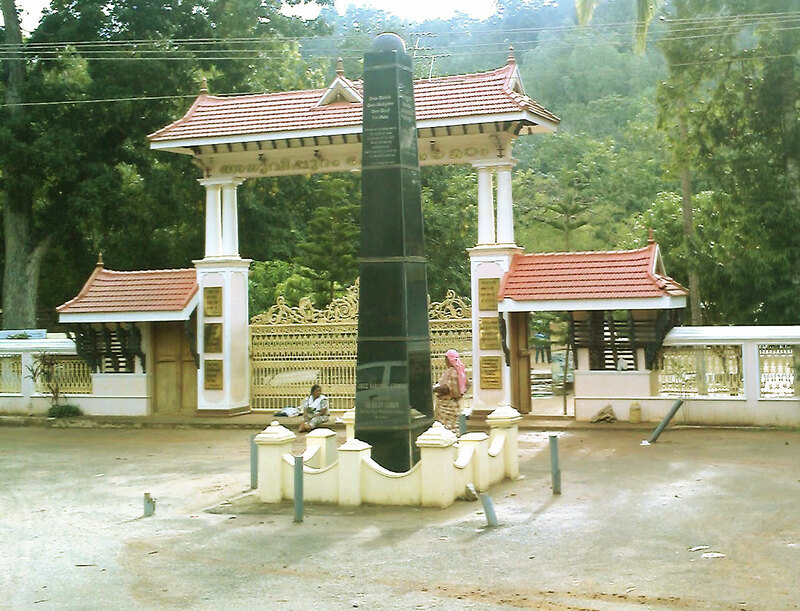 The then obscure place of Aruvippuram was to be the defining point in his life, nay in the history of Kerala. Dr Palpu’s brother P Parameswaran has noted that Swami first went to Aruvippuram in 1883 (1059). Naniasan of Aruvippuram also shares this view. The most notable among Sri Narayana Guru’s disciples Ayappan Pillai was to be known later as Sivalinga Dasa Swami. Iyappan Pillai ‘s encounter with the Guru when he travelled from Maruthwa Mala to Aravipuram was fully accidental. In1884 Guru went into deep meditation in a cave by the side of Aruvippuram stream and in Kodithookki mountain. A little boy who was attracted to the Swami at that time was his first disciple. The b oy Ayyappan Pillai, was to attain renown as Sivalinga Dasa Swami (1859-1919), a great philosopher, spiritualist and poet. Devotees started coming to Aruvippuram, hearing of Gurudev. All sorts of people came there, devotees of Gurudev, ailing persons, mere visitors and so on. Swami, who was a gifted physician, cured many chronic diseases. Aruvippuram was no longer an obscure place. Every day visitors streamed in. People regarded Aruvippuram as a holy place. Many people came there with various preparations, offered feasts and returned contented. When Gurudev first came to Aruvippuram, Chattampi Swami was also with him. But the latter did not stay there long. It was the time when a large number of backward people were regarded as outcasts in the caste division. Their sufferings were indescribable. Public streets were barred to them. They were barred from schools. They were forbidden to enter temples. They were not given jobs. They could not worship true deities. They spent their days drinking and offering animal sacrifices. Many people came to Aruvippuram to offer feasts and sacrifices.